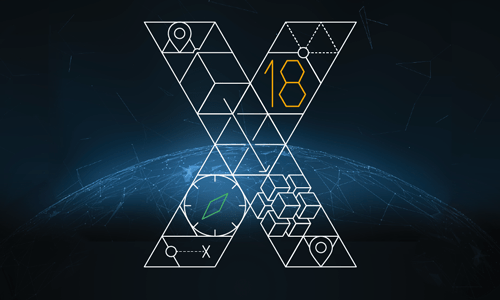 The official event for all things NGINX: NGINX Conf is an event for developers, operators, and architects to explore the intersection of the web, cloud, and microservices. Architect the Future: Discover best practices and techniques in application development and delivery, including microservices, DevOps, cloud and containers. Build & Deliver Applications, Flawlessly: The pressure is always on to create the next big thing… but building an application is only half the battle. join your peers to share ideas. Build the Future of the Modern Web: Discover how to deliver your sites and apps with performance, security, and scale. In his session at NGINX Conf 2018, Timo Stark of Audi shares how his team built the Audi Cockpit, a dashboard on which Audi employees access work apps. NGINX Plus serves as API gateway for the dashboard, which uses AWS-hosted microservices in Kubernetes-managed containers. In his session at NGINX Conf 2018, Ahmet Houssein of Solarflare describes how the company’s XtremeScale technology with Universal Kernel Bypass accelerates NGINX performance, increasing QPS up to 4X compared to a kernel solution, while linearly scaling performance. In his session at NGINX Conf 2018, Kevin Jones of NGINX, Inc. explains how NGINX caching improves the user experience of your applications. He reviews and analyzes all of the available caching features and directives, and demos a working sample configuration. In her session at NGINX Conf 2018, Amanda Bockoven, Sales Engineer at NGINX, Inc., shows how the multilingual and dynamic application server, NGINX Unit, can fit into your environment. As an example, she adds a new Django application to the configuration. In his session at NGINX Conf 2018, Jason Feldt, Director, Project Management at NGINX, Inc. presents an interactive demo of NGINX Controller functionality, and relays responses from customers and prospects so far. He invites attendees to help shape the product roadmap. In his session at NGINX Conf 2018, Nick Shadrin of NGINX, Inc. explains how to get the most out of the changelog for NGINX Unit that's posted with each release. He details numerous features added during the beta period and since version 1.0 was published. In his session at NGINX Conf 2018, Maxim Dounin, Developer at NGINX, Inc. summarizes various new features and changes in the NGINX 1.13.x and 1.14.x branches, plus features being developed in the 1.15.x branches. Features of note include gRPC and HTTP/2 server push. In his session at NGINX Conf 2018, Christopher Litsinger of Comcast describes how his team replaced a commercial API management gateway with an NGINX-based in-house solution, leading to lower latencies and 15x transaction rates. They then converted the system to self-service. In her keynote at NGINX Conf 2018, Isa Vilacides of ClouBees traces her team's transition from testing monolithic applications to testing integrations of hundreds of microservices. They found that microservices come at a price: brittle, slow, and infra-dependent tests. In his session at NGINX Conf 2018, Ernesto Chaves of AppNexus describes how the company replaced all of its F5 hardware load balancers with NGINX Plus, detailing the steps and challenges his team went through, and the successes. He also presents HTTP/S benchmark data.